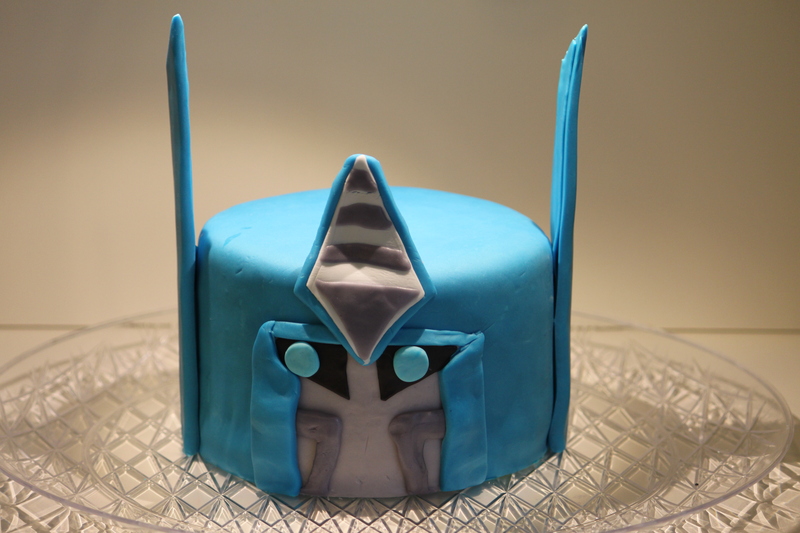 Ngati wanted a Transformers birthday cake. The cake is two 6″ Key Lime flavored layers, covered in buttercream and then Duff’s fondant again from Michaels. Cort made all the decorations and did a great job. She had to reinforce with toothpicks and skewers since there wasn’t time to let the tall pieces dry very much but we have found that putting them in front of a little portable fan really helps the drying process when you are under a time crunch. Happy Birthday Ngati!